The Skip Hop Forma Pack & Go Diaper Tote is both stylish and highly convenient. 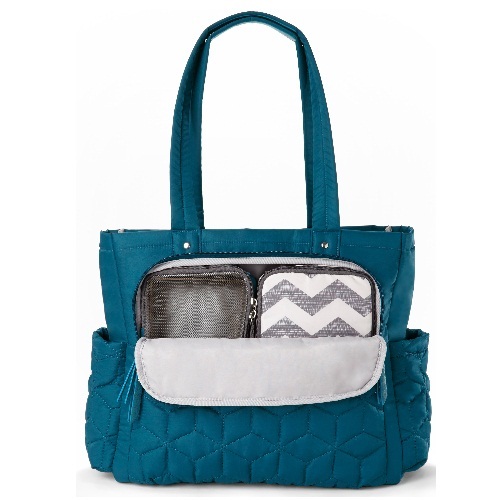 This diaper tote is loaded with 11 pockets to ensure plenty of organized space for baby necessities. 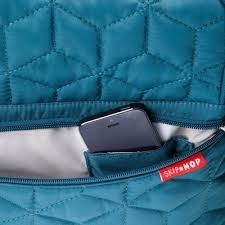 It's made of laminated, quilted polyester for easy cleaning. 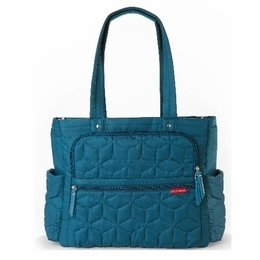 This diaper tote comes complete with a padded changing pad, zippered mesh case, and an insulated, zippered bottle bag. 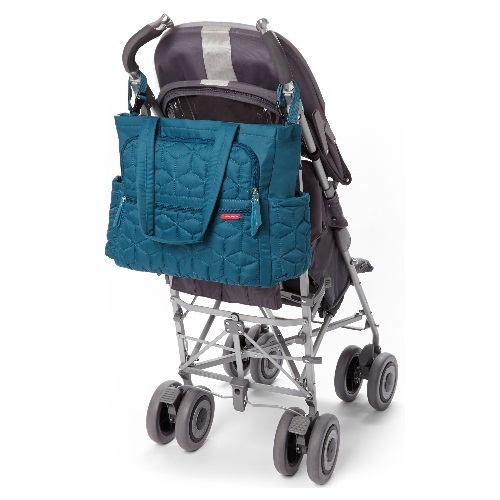 The two shoulder straps make it comfortable and easy to carry, plus you can also strap this tote to your stroller. CLEANING & CARE: Spot clean or hand wash cold & dry flat.